"The first adult musical savant I met was a retarded man who had been admitted to a nursing home where I worked. Martin had been normal at birth, but at the age of three he contracted meningitis, which caused seizures and a spastic weakness of his limbs and voice. It also affected his intel­ligence and personality, so that he became impulsive, 'odd,' and unable to keep up with his classmates at school. But along with these problems, he developed curious powers: he became fasci­nated by music, would listen to it intently, and would then sing the melodies he had heard or play them on the piano, as best he could with his spastic limbs and voice. He was greatly encouraged in this by his father, who was a professional opera singer. "Along with his musical abilities, Martin also developed a prodigious rote memory. Once he was fitted with glasses for the very severe visual problems he had been born with, he became an avid reader, retaining (though often not understanding) every­thing he read. And this, like his musical memory, was auditory ­-- whatever he read he heard in his mind's ear, sometimes in his father's voice. As some people may be said to have a photo­graphic memory, Martin had a phonographic one. "Though solitary in his habits, Martin was able to live inde­pendently and to do simple, unskilled work. His only pleasure, seemingly, was to sing in church choirs; he could not be a solo singer with his hoarse, spastic voice. But by the time he was sixty-one, his increasing physical disabilities (arthritis and heart disease among them) brought him to the nursing home. "When I met him in 1984, he told me that he knew more than two thousand operas, as well as the Messiah, the Christmas Ora­torio, and all of Bach's cantatas. I brought along scores of some of these, and tested him as best I could; I found I was unable to fault him. And it was not just the melodies that he remembered. He had learned, from listening to performances, what every instrument played, what every voice sang. When I played him a piece by Debussy that he had never heard, he was able to repeat it, almost flawlessly, on the piano. He then transposed it into different keys and extemporized on it a little, in a Debussyan way. He could grasp the rules and the conventions of any music he heard, even if it was unfamiliar or not to his taste. This was musicianship of a high order, in a man who was otherwise so mentally impoverished. "What was the origin of Martin's musical powers? He had an intensely musical father, and musical ability is often inher­ited, as with the seven generations of the Bach family. He was born into and grew up in a musical household. Was this enough, or did his auditory and potentially musical powers also gain strength from the poorness of his vision? (Darold Treffert, in his remarkable book on savantism, Extraordinary People, notes that more than a third of all musical savants are blind or have very poor vision.) Martin was born with very severe visual problems, but this was not recognized and corrected until he was almost three, so in these early years he must have been nearly blind and dependent on hearing to orient him and make sense of the world. Or was it the meningitis, which, while stripping him of some of his cortical controls and higher powers, also stimulated or released previously unsuspected savant powers? "The term 'idiot savant' was introduced in 1887 by Langdon Down, a London physician, in reference to 'feebleminded' chil­dren who had special and sometimes remarkable 'faculties.' Among these were exceptional powers of calculation, drawing, mechanical aptitude, and, above all, of remembering, playing, and sometimes composing music. Musicality is the most common and perhaps the most dramatic form of savant talent, for it readily comes to public notice and commands attention. The case of Blind Tom, an American slave who exhibited prodigious musical powers from an early age, attracted worldwide attention in the 1860s. Darold Treffert devoted a large part of Extraordinary People to musical savants, and Leon K. Miller wrote an entire book about a single musical savant, Eddie. 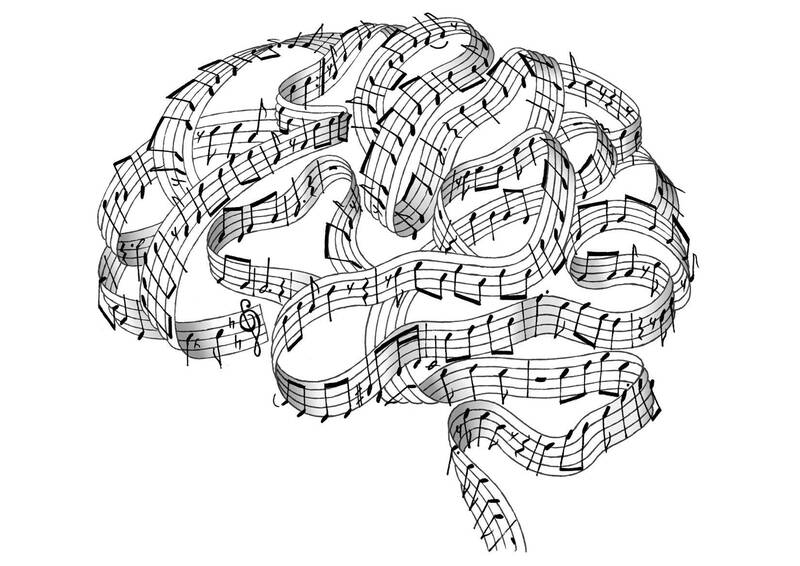 Detailed studies of savant talents and especially of musical savant skills have been carried out by Beate Hermelin and others in London, and these confirm that such skills depend on the recognition (which may be implicit and unconscious) of essential musical structures and rules, as is the case with normal musical skills. The anomaly is not in the skill itself, but in its isolation -- its unusual and some­times prodigious development in a mind that may otherwise be markedly underdeveloped in verbal and abstract thought."